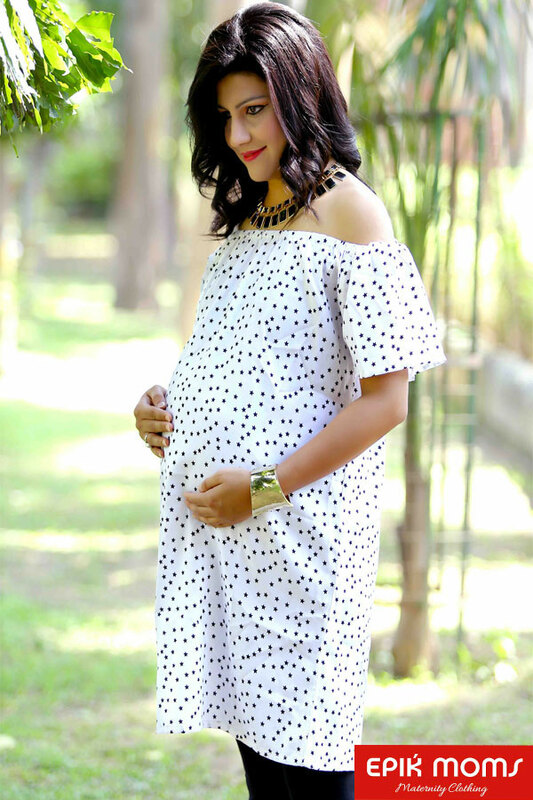 Box the sartorial elegance and push it down the road of maternity wearing this white top by EpikMoms. 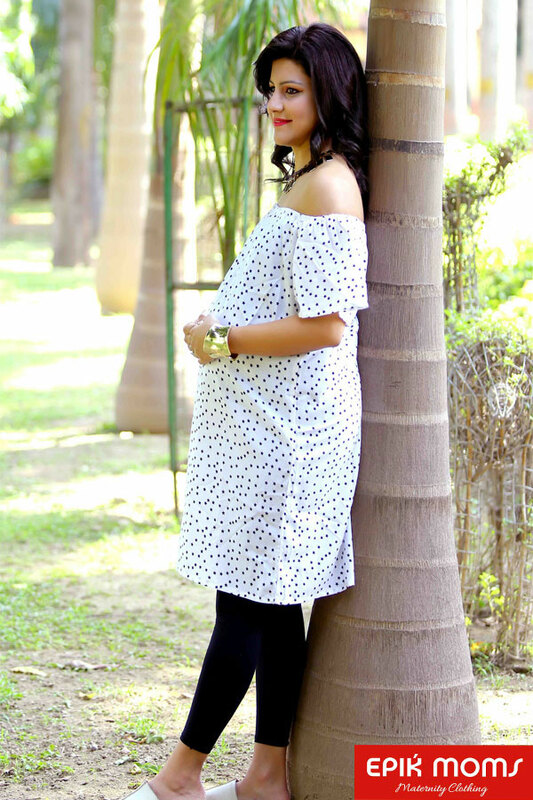 Made from Crepe Fabric, this kurti is light in weight and perfect for daily wear. The elasticity at the shoulders allows it to convert to a chic off-shoulder look. Team it with contrasting churidar and Kolhapuris to complete your look for the day.